Napoleon Gourmet Grills‘ unique dual fuel feature allows you to achieve the taste and texture of food seared over natural lump charcoal with the simplicity of a gas fired ignition. Step 1: Simply place the cast iron Napoleon Charcoal Smoker Tray directly on the gas burners on one half of the grill. 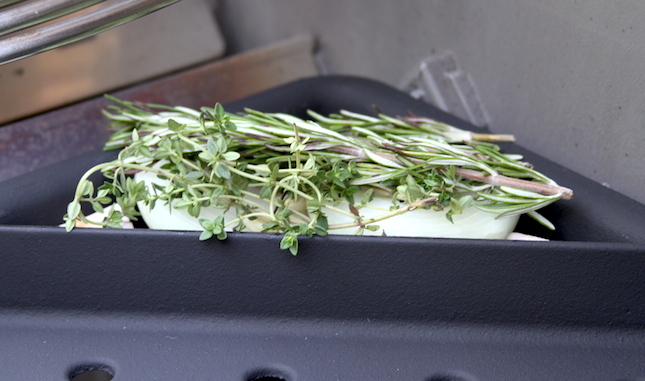 To do so you will need to remove the flame deflectors that cover the burners. Take a moment and ensure that the charcoal tray is level and sitting tightly. 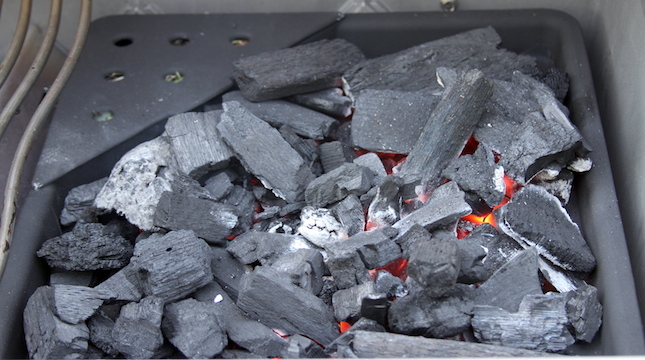 Step 2: Fill the tray with natural lump charcoal and turn on the two burners that are beneath the charcoal smoker tray. Since we were cooking steak for this demonstration we also filled the charcoal tray’s wood chip box with aromatics including onions, garlic, rosemary, thyme and more. Once the charcoal is lit and fully covered in white ash, turn off the two burners below the charcoal grate and let the grill heat up. 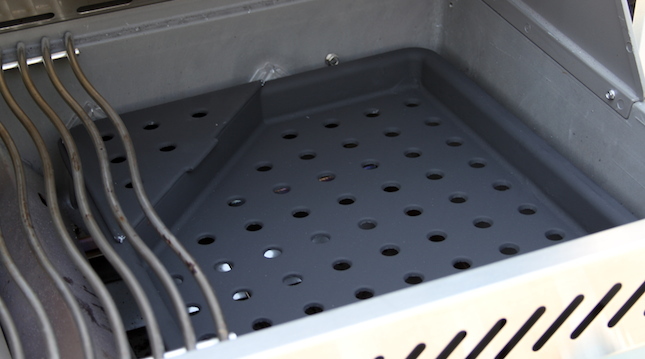 While the grill is heating up, put the grill grate back in place above the charcoal so that it pre-heats as well. 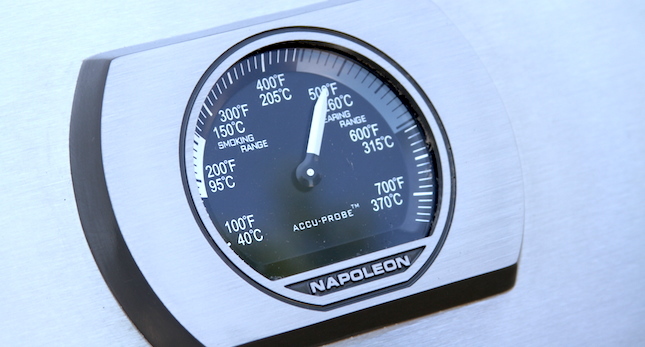 Step 3: Let the grill continue to heat up until the Accu-Probe hood thermometer is reading 500ºF. This means that you now have a grate temperature of around 700ºF which is perfect for getting a beautiful sear on your steaks. Sear your steak directly over the charcoal. Once the steak is cooked to perfection on the outside, move it to the indirect side of the grill to finish cooking. Pull the steak once it has reached an internal temperature of 135ºF. 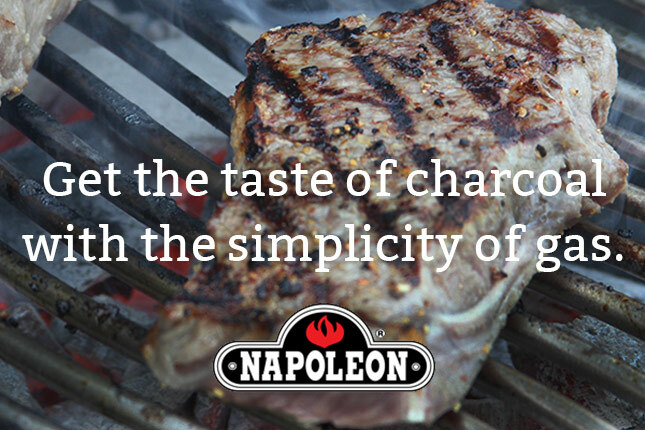 Napoleon makes cooking with charcoal as simple as cooking with gas.